IMAGINE spending years creating something that you believe in. You’ve burned the midnight oil and honed it to perfection. And then, you hand it over to somebody else to put it out there for all to see. It’s emotional, like your kids leaving home. You’re letting something you care for deeply out into the world, and aside from all your hopes for its own wellbeing, it reflects on you. So, how do you make sure it’s done well? Independent publishing means that the author can have control of every aspect of their book, including the cover. This has brought authors and designers closer together, and here is an example of why this Cover Designer thinks it’s for the better. 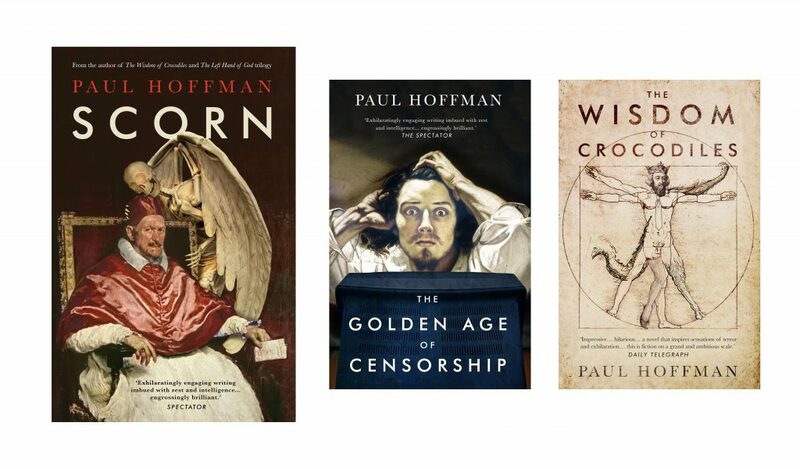 Working with whitefox, Paul Hoffman had a pretty clear idea for the cover of his latest novel, Scorn, but the briefs were more open for the covers of the ebook releases of The Wisdom of Crocodiles and The Golden Age of Censorship. 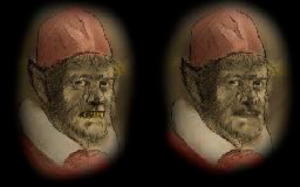 For Scorn, Paul wanted to subvert this portrait of Pope Innocent X by Velazquez, by making him into a werewolf, just like Aaron Gall, the vengeful main character and echoing the predation in the Catholic church. Despite the clear quality in the sketch from Lee, something wasn’t right – it was too ‘Hammer Horror’. We discussed recent successful covers that twisted traditional paintings, like Viper Wine and Pride and Prejudice and Zombies, which manipulated the original images. I suggested a collage style with the original painting, so we could be freer with content (from Tony Blair’s severed head to the Queen’s Corgis – you HAVE to read the book to believe it!). Inevitably, I looked at zombie mouths, and even though they were concept-roughs, they were light-hearted and looked a little bit cheap. Paul wanted to aim higher. 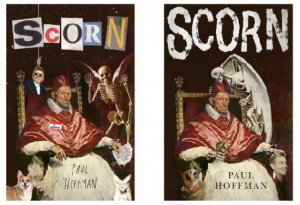 Looking back over the final covers, I’m really pleased with the results: Scorn is the leading design; the customised skeleton gleefully looks out at the reader. In TGAC, The Desperate Man by Gustave Corubet watches a television with a surprised expression at the programming. And Da Vinci’s Vetruvian Man has grown a tail amongst some other colourful adaptations in TGAC. Language is slippery, and collaboration means different things in different worlds. I gave up writing screenplays because the film industry’s definition of collaboration meant doing what they wanted, no matter how foolish. My constant attempts to stop them from ruining the films we were working on got me a reputation for being ‘difficult’, so it was a genuine pleasure to work with Mark and go through the lengthy – but civilized – process of a true collaboration. I had a clear idea to start with, but as you can see from the attempts at a werewolf cover they just didn’t work. The next stage of using medieval paintings seemed to be spot on to me: they reflected the medievalism of the Catholic religion with which I was so familiar and they often had lots of little additions of mocking devils and small jokes that also fit the book precisely. Great idea except for the fact that it didn’t work either. As we honed in on using the original Velasquez image and adding something less literal than a werewolf, we kept working on the details and Mark found a skull from somewhere else, and by turning it slightly, made the whole thing come together. The other covers were worked through in pretty much the same way. My advice? Hire good people and have all the ideas you want but listen to what they say. So next time you’re involved in a cover design, get on the phone, fill in a brief, be objective and give stakeholders their due. If we work together, we can produce both well-written AND good looking books. With thanks to George Edgeller at whitefox and Marie-Flavien Léda at Bridegman Images for their kind help making these covers happen. Mark Ecob is a designer with over 15 years experience creating covers for everyone from the biggest conglomerates to self-publishers, including authors such as Iain Banks and Alexander McCall Smith. Check out his company website, Mecob, to see more of his designs.